Buhle, Paul and Mike Alewitz. Insurgent Images: The Agitprop Murals of Mike Alewitz, with forward by Martin Sheen. New York: Monthly Review Press 2001. Part biography, part geography, part history and all in celebration of mural art made by Alewitz in cooperation with workers the world over. Paul Buhle and Nicole Schulman, editors: Wobblies! A Graphic History of the Industrial Workers of the World, New York and London: Verso 2005. This gem of text and images includes (among others) the work of Peter Kuper, Harvey Pekar, Seth Tobocman, Trina Robbins, Spain Rodriguez, Sabrina Jones, Susan Simensky Bietila, Sue Coe, Mike Alewitz, Clay Butler, Roy Germon, Jay Kinney, Mike Konopacki, Josh MacPhee and Nick Thorkelson, a bibliography for further reading and reproductions of original Wobbly graphics, and more. Birk, Sandow. Incarcerated: visions of California in the 21st Century, Santa Barbara Contemporary Arts Forum [Santa Barbara] and Last Gasp [San Francisco], 2001. Birk, Sandow. "In Smog and Thunder: Historical Works from The Great War of the Californias"; revised edition of exhibition catalog; forward by Bolton Colburn, essays by Claudine Isé, Marcia Tanner and curator Tyler Stallings. Includes not to be missed audio CD. Last Gasp of San Francisco, 2002. Dante's Paradiso, 2005; preface Peter S. Hawkins; forward Mary Campbell; introduction Michael F. Meister. -- all three illustrated by Sandow Birk; text adapted by Sandow Birk and Marcus Sanders; Chronicle Books, San Francisco. Birk, Sandow. The Depravities of War. essays by Darius A. Spieth, Paul Mullowney, Marilyn Vierra, Graham Larkin and Catharine Clark. Includes The Miseries of War plates by Jacques Callot. Grand Central Press, Santa Ana California and Hui Press Publications Makawao, Maui Hawai'i, 2007. Horn, Emil. Mihály Biró. Verlag PlakatKonzepte, Grohnert & Weigelt, Oskar-Winter-Str. 3, D-30161 Hannover, 1996. In German with English translation by Jörn Weigelt, including a chronological bibliography, an index of printed posters from 1910-1947, and richly printed color and black and white reproductions of Biró's posters, both political and commercial. Kelly, William, with contributions from Tom Kelly and Kevin Hasson; documented by Paul Kelly. 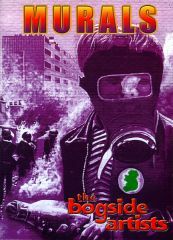 MURALS: the bogside artists (ISBN 0-9541232-0-4 Paperback 112pp 11.95), 2001. Three individuals make up the group known as 'The Bogside Artists' - Tom Kelly, Kevin Masson and William Kelly. William's son Paul takes care of video and documentation. The group is famous for their murals in the area of Derry, Northern Ireland, known as Free Derry Corner. These murals depict key events of 'the Troubles' in the city since 1968. The artists have lived in the Bogside most of their lives and have experienced the worst of the conflict. Their work, chronicled in this book, depicts those events that they consider to have been the most significant during the last thirty years. Also check their new website [http://www.bogsideartists.com], soon to be on-line if not already. Santiago, Abel. En Tinta Negra y en Tinta Roja; Arturo García Bustos -- Vida y Obra. Edición de la Fundación Todos por el Istmo, A. C., 2000. Publisher's address: Mar de la Tranquilidad 200-2, Col. Del Parque, Coyoacán, 04890, México, D. F., Coyoacán. [e-mail: istmo@geocities.com]. Text in Spanish with many color and black and white illustrations, commemorating 50 years of professional work and struggle for social justice. Coe, Mandy. Red Shoes. Good Stuff Press, 5 Sandringham Drive, Liverpool L17 4JN, 1997. Coe, Sue and Holly Metz. How to Commit Suicide in South Africa. Raw Books & Graphics: New York. (Raw Books One Shot #2), 1983. Coe, Sue. Paintings and Drawings by Sue Coe, forward by Marshall Arisman; introduction by Russell Mills. The Scarecrow Press, Inc.: Metuchen NJ and London, 1985. Coe, Sue, with text by Judith Moore. X. Raw Books & Graphics, New York (Raw Books One Shot #6), 1986. Police State. Essay by Donald Kuspit, text by Mandy Coe, introduction by Marilyn A. Zeitlin. unbound portfolio style catalog accompanying traveling exhibition of 1982-1986 works by Sue Coe. Anderson Gallery, Virginia Commonwealth University, Richmond VA, 1987. The essay by Donald Kuspit also appears as a chapter in Redeeming Art: Critical Reveries. New York: Allworth Press, 2000. Coe, Sue, with introductory essay by Alexander Cockburn. Dead Meat. Four Walls Eight Windows: New York, 1996. Coe, Sue. 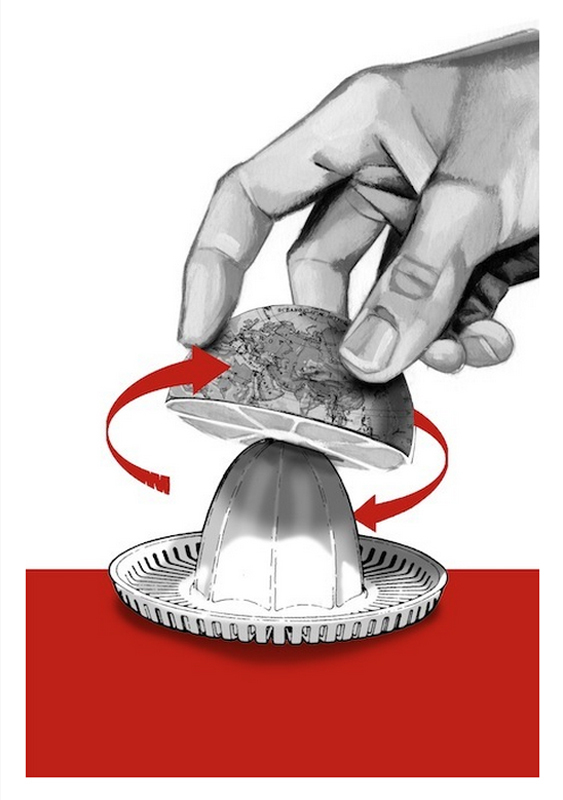 Pit's Letter: The Tragical Tale of the Rise and Fall of a Vivisector. Four Walls Eight Windows: New York, 2000. Coe, Sue and Judith Brody. Bully! Master of the Global Merry-Go-Round. Four Walls Eight Windows: New York, 2004. Coe, Sue. CRUEL: Bearing Witness to Animal Exploitation, OR Books: New York, April 2012. Comic Book Confidential. Ron Mann, author. Voyager: New York, 1994. Beat Experience. Voyager: New York, 1995. Monkey Hell screen saver, Kickstand: New York, 1998. Grosz, George. Abrechnung Folgt! 57 Politische Zeichnungen. Der Malik-Verlag: Berlin, 1923. Grosz, George [translated by Nora Hodges]. George Grosz: an autobiography. University of California Press: Berkeley, 1998. (Originally published as Ein kleines Ja und ein grosses Nein, 1946). Hess, Hans. George Grosz. Macmillan Publishing Co., Inc.: New York, 1974. Schneede, Uwe M. George Grosz: Life and Work. Universe Books: New York, 1979. 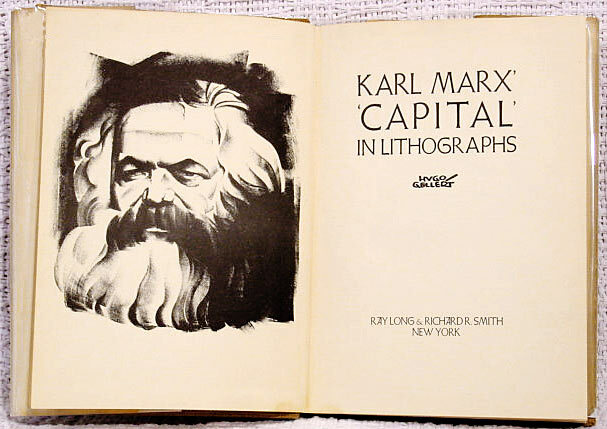 Extensively illustrated: in addition to Grosz's art, Kollwitz, Heartfield and others and photographs 1914-1931 of political events and social conditions. 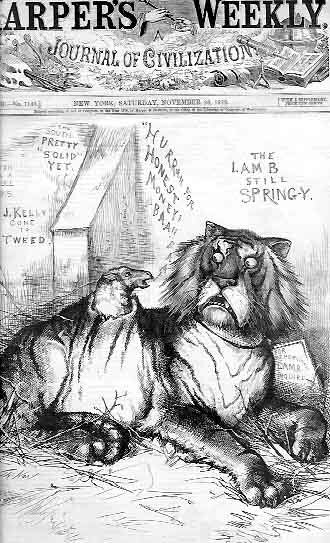 Harrington, Oliver W. Bootsie and Others: A Selection of Cartoons by Ollie Harrington. Dodd, Mead: New York, 1958. Harrington, Ollie. Soul Shots: Political Cartoons by Ollie Harrington (introduction by Elton C. Fax), Long View Publishing Co., Inc.: New York, 1972. Harrington, Oliver W. Dark Laughter: The Satiric Art of Oliver W. Harrington (introduction by M. Thomas Inge), University Press of Mississippi: Jackson Mississippi, 1993. Harrington, Oliver W. Why I Left America and Other Essays (forward by Julia Wright; introduction by M. Thomas Inge), University Press of Mississippi: Jackson Mississippi, 1993. Evans, David. John Heartfield: Arbeiter Illustrierte Zeitung/Volks Illustrierte 1930-1938, Kent Gallery: New York, 1992. Pachnicke, Peter and Honnef, Klaus, editors. John Heartfield, Harry N. Abrams, Inc.: New York, 1992. Published in conjunction with an exhibition of the same title that traveled in Germany, UK, and the United States, 1991-1994. West, Richard Samuel. Satire on Stone: The Political Cartoons of Joseph Keppler, University of Illinois Press: Urbana and Chicago IL, 1988.
de Coster, Charles.The Glorious Adventures of Tyl Ulenspiegl, Pantheon Books: New York, 1943. 100 woodcut illustrations by Frans Masereel, "the author's compatriot," translation by Allan Ross Macdougall and introduction by Camille Huysmans. Masereel, Frans. Geschichte ohne Worte: Ein Roman in Bildern (Story without words: a novel in pictures), 60 woodcuts, afterward by Herman Hesse. originally published as Histoire Sans Paroles, Geneva, 1920. Insel-Bücherei No. 433, Leipzig, 1933. Masereel, Frans. Bilder der Grossstadt, Carl Reissner Verlag: Dresden, 1926. Masereel, Frans. Danse Macabre, Berne: Herbert Lang, 1941. A numbered edition of 950. Masereel, Frans. La Terre sous le Signe de Saturne Berne: Herbert Lang, 1944. A numbered edition of 550. Masereel, Frans.La Colère, Herbert Lang: Berne, 1946. A numbered edition of 650. Rolland, Romain. Peter und Lutz, a novel with 16 woodcuts by Frans Masereel. Kurt Wolff, Verlag: Munich, 1921. Rolland, Romain. Die Révolte der Maschinen, ou la Pensée Déchainée, with 33 woodcuts by Frans Masereel. A play; first published in 1921 by Editions du Sablier, Paris. Subsequent editions include Paris: L'Edition de Pierre Vorms, 1947. TGP: El Taller de Gráfica Popular, the workshop for popular graphic art, an album of its first 12 years, 1937-1948, in Spanish and English; 196 pages, information and reproductions of work by 50 artists, including 5 original woodcuts, La Estampa Mexicana, 1949. [The following books are in Spanish, and include ample illustrations of Méndez' work. Thanks to Robert Healy for this information]. de la Cabada, Juan. 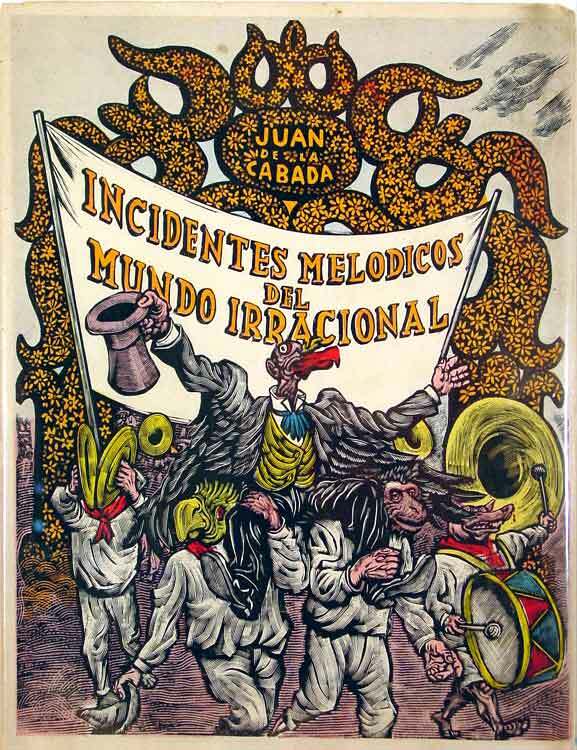 Incidentes Melodicas del Mundo Irracional. 40 illustrations by Leopoldo Méndez. A limited edition of 1200 published by La Estampa Mexicana, 1944. Juan de la Cabada adapted a Mayan story of some fairly complex dealings between a snail, an anteater, a snake, a deer and the villainous zopilote (buzzard) who gets hung from a tree at the end. In Spanish, with some Maya sentences; some songs with music provided. Carrillo Azpeitia, Rafael. Leopoldo Mendez: Dibujos, Grabados, Pinturas. Fondo Editorial de la Plastica Mexicana: Mexico City, 1984. Reyes Palma, Francisco. Leopoldo Mendez: El Oficio de Grabar Consejo Nacional para la Cultura y las Artes: Mexico City, 1994. Keller, Morton. The Art and Politics of Thomas Nast, Oxford University Press: New York, 1968. Nast, Thomas.The Fight at Dame Europa's School (showing how the German boy thrashed the French boy; and how the English boy looked on), Francis B. Felt & Co.: New York, 1871. Paine, Albert Bigelow. Th. Nast: His Period and His Pictures, The Macmillan Company: New York, 1904. Dickens, Charles. The Posthumous Papers of the Pickwick Club, with 52 illustrations by Thomas Nast. Harper & Brothers, Publishers: New York, 1873. Opper, Frederick Burr. Willie and His Papa, New York: from the New York Evening Journal, 1900; Grosset and Dunlap, 1901. Opper is perhaps best known for his successful Sunday comic strips (c. 1905) And Her Name Was Maud and Happy Hooligan. Pyle, Kevin. LAB U.S.A illuminated documents Autonomedia: 2001. Pyle, Kevin C. Blindspot, Holt: 2007. 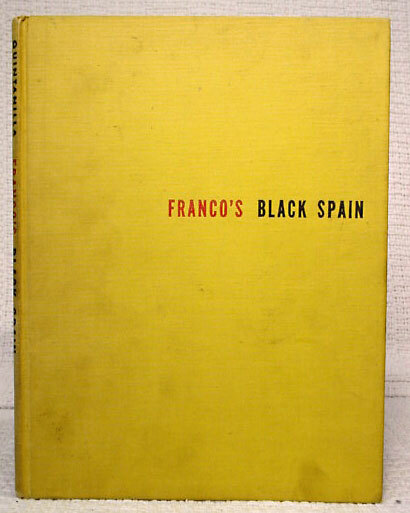 Franco's Black Spain, Drawings by Luis Quintanilla; commentary by Richard Watts, Jr.
Reynal & Hitchcock: New York, 1946. Safe Area Gorazde:The War In Eastern Bosnia 1992-1995:, introduction by Christopher Hitchens. Fantographic Books, 2000. Orwell, George, with illustrations by Ralph Steadman. Animal Farm: A Fairy Story, 50th Anniversary Edition, New York: Harcourt Brace & Company, 1995. Steadman, Ralph. America, San Francisco: Straight Arrow Books, 1974. Stein, Philip. Siqueiros: His Life and Works, New York: International Publishers Co., Inc., 1994. The life of David Alfaro Siqueiros as it intersected the history of Mexico and the Mexican Mural Movement; copious illustrations and bibliographic refrences. Szyk, Arthur. The New Order , introduction by Roger W. Straus, Jr., New York: G.P. Putnam's Sons, 1941. Ungar, Irvin (curator). Justice Illuminated: The Art of Arthur Szyk, Berkeley, California: Frog, Ltd., 1999. Jackson, Kenneth and Camilo José Vergara. Silent Cities: The Evolution of the American Cemetery, Princeton Architectural Press, 1989. Vergara, Camilo José. The New American Ghetto, Rutgers University Press, 1995. Vergara, Camilo José. American Ruins, New York, The Monacelli Press, 1999. Vergara, Camilo José. Subway Memories, New York, The Monacelli Press, 2004. Vergara, Camilo José. How the Other Half Worships, Rutgers University Press, 2005. The Communist Manifesto, by Karl Marx and Friedrich Engels, recently published (2012), text in Spanish and illustrated by Spanish artist Fernando Vicente. For English text, see here. Beowulf, translated by William Ellery Leonard, illustrated by Lynd Ward. Heritage Press: New York, 1939. Forbes, Esther, with illustrations by Lynd Ward. Johnny Tremain, Houghton Mifflin: New York, 1962. Mann, Thomas, with illustrations by Lynd Ward. Nocturnes, Equinox Cooperative Press: New York, 1934. McNeer, May, with illustrations by Lynd Ward. The Mexican Story, Ariel: New York, 1953. Ward, Lynd. Gods' Man, Jonathan Cape and Harrison Smith, Inc.: New York, 1929. Ward, Lynd. Wild Pilgrimage, Harrison Smith and Robert Haas: New York, 1932. Ward, Lynd. Vertigo, Random House: New York, 1937. Ward, Lynd. The Biggest Bear, Houghton Mifflin: New York, 1952. A classic children's book. Ward, Lynd Kendall. Storyteller without Words: The Wood Engravings of Lynd Ward, Harry Abrams: New York, 1974. Waugh, Alec, with illustrations by Lynd Ward. Hot Countries, The Literary Guild: New York, 1930. Wolandt, Gerd. A. Paul Weber: Künstler und Werk , Gustav Lübbe Verlag, 1983. Well illustrated, German text. Weber, A. Paul. Britische Bilder: 48 politische zeichnungen, Berlin: Nibelungen-Verlag, 1943. Weber, A. Paul. Kritischer Kalender (1959-1981). These are a series of calendars in book form. Each double page consists of a Weber illustration facing a two week calendar that sits below a quote from a well known historical and/or literary figure. Among those quoted in the 1970 calendar (Clan Presse Verlag) are Theodore Adorno, Bertold Brecht, John Kenneth Galbraith, Federico Garcia Lorca, Rosa Luxembourg, Henry David Thoreau and Alexis de Tocqueville. In German. Weber, A. Paul. Kritische Graphik: Handzeichnungen und Lithographien aus vierzig Jahren. Hamburg: Hoffmann und Campe, 1973. Young, Arthur H. Hell Up To Date, Chicago: The Schulte Publishing Company, 1893. Young, Arthur. Authors' Readings, New York: Frederick A. Stokes Company, 1897. Young, Art. Trees at Night, New York: Boni and Liveright, 1927. Young, Art. On My Way, New York: Horace Liveright, 1928. Young, Art. The Inferno, New York: Delphic Studios, 1934. Young, Art. The Best of Art Young (introduction: Heywood Broun), New York: The Vanguard Press, 1936. Young, Art. Thomas Rowlandson (essay by Art Young), New York: Willey Book Company, publishers, 1938. Young, Art. Art Young: His Life and Times, New York: Sheridan House, 1939. Bray, Glenn and Frank M. Young. To Laugh That We May Not Weep: the life and times of Art Young (introduction by Art Spiegelman), Seattle WA: Fantagraphics Books, Inc., 2017.